Greatrex saddled his first Grade 1 winner, Cole Harden, in the Ladbrokes World Hurdle at the Cheltenham Festival in 2015. Under a bold ride from Gavin Sheehan, the 6-year-old made every yard of the running and stayed on strongly to beat the favourite, Saphir Du Rheu, by 3¼ lengths, leaving his trainer fighting back tears. That season, Greatrex amassed over £500,000 in total prize money for the first time. Greatrex has a number of potential Cheltenham Festival contenders, including Keeper Hill, who fell on his most recent outing at Musselburgh, but has reportedly schooled well since and is likely to contest the National Hunt Chase, rather than the RSA Chase. 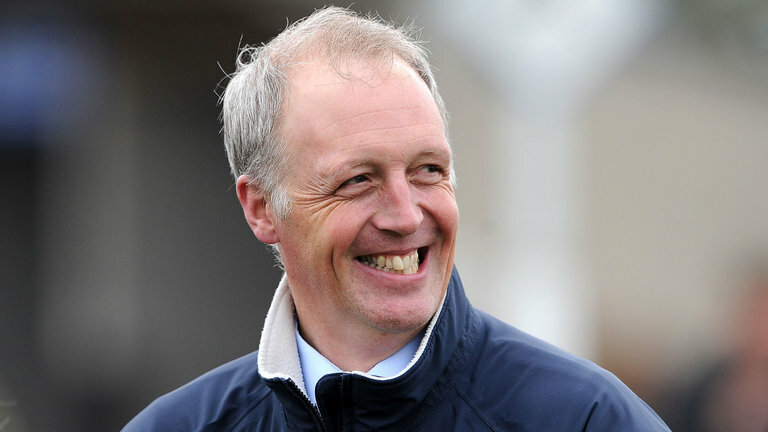 According to George Herbert, “One father is more than a hundred schoolmasters” and those words may resonate with David Pipe, son of Martin Pipe, the most successful National Hunt trainer in the history of British horse racing. During a career lasting over four decades, Martin sent out a record 4,180 winners and won the National Hunt Trainers’ Championship fifteen times. He also developed revolutionary, indeed often controversial, methods of racehorse training, which David inherited when he took over the training licence at Pond House in Nicholashayne, Devon in 2006. In his younger days, David worked alongside Michael Dickinson, Criquette Head-Maarek and Joey Ramsden – all hugely successful trainers – before setting himself up as a point-to-point trainer. In six seasons at Purchase Farm, just a mile away from Pond House, he saddled 164 winners. When he took over from his father, success came quickly. His first runner, Standin Obligation, won a novices’ chase at Kelso – 400 miles away from Nicholashayne in the Scottish Borders – at odds of 1/6 and was quickly followed by Wee Dinns in a handicap hurdle later on the same card and Papillon De Iena in a handicap chase at Exeter that same evening. An across-the-card treble on his first day in charge was, like his father, a hard act to follow, but David maintained the tempo throughout his debut season. In fact, he trained 134 winners, including his first winner at the Cheltenham Festival, Gaspara – who was, fittingly, owned by his father – that year and finished third in the National Hunt Trainers’ Championship with £1.6 million in prize money. In his second season, 2007/08, David saddled two more winners at the Cheltenham Festival, An Accordion in the Festival Trophy Handicap Chase and Our Vic in the Ryanair Chase. Just over three weeks later, he gained his biggest ever success when Comply Or Die forged clear from the famous Elbow on the run-in at Aintree to win the Grand National by 4 lengths. Fast forward a decade or so and David Pipe has saddled over 1,000 winners, including Madison Du Berlais, a surprise winner of the Hennessy Gold Cup in 2008, and 14 winners at the Cheltenham Festival. His most recent successes at Prestbury Park include Un Temps Pour Tout, winner of the Ultima Hcap Chase in both 2016 and 2017. Under the watchful eye of his father – who, at 72, still occupies the position of assistant trainer at Pond House – David has saddled a winner at every National Hunt racecourse in the country.